> that looks good everywhere. trying rather hard to be. like it costs us much. I think this is much too subtle. > Hylke was apparently un-aware of this when he made the icon. 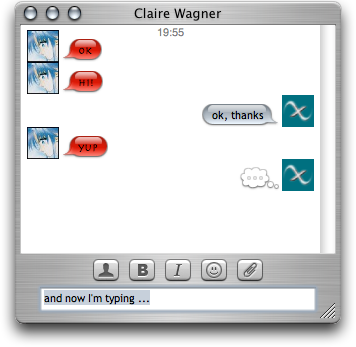 iChat does lots of things I don't think are good ideas.